Whatever the reason is, TapSnap has become the latest hit in the gaming industry. It’s no secret that TapSnap attends all kinds of events. From wiener dog meet-ups to Lobster Fests, we’ve snapped photos at them all. But a growing trend for our photo booths is being rented as a brand activation for companies in the gaming industry. We provided a photo booth with a green screen with 3 backgrounds for guests to choose from for the External Development Summit (XDS). 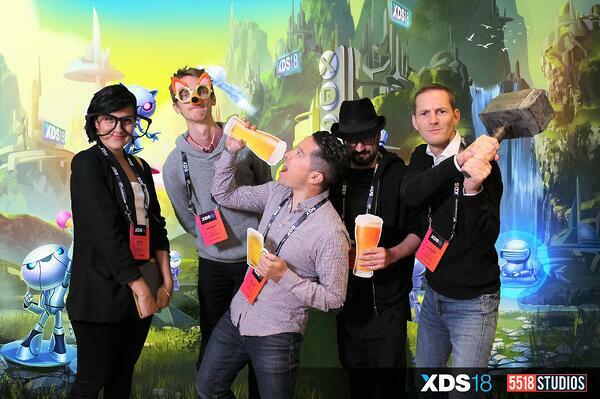 XDS is a gaming conference where over 600 attendees discuss all things art, software engineering, audio and animation development related, held in Vancouver, Canada. The guests got crazy with our photo booth! Spending all day in conference sessions leaves corporate guests needing to let off some steam, and our photo booth was the place for that! 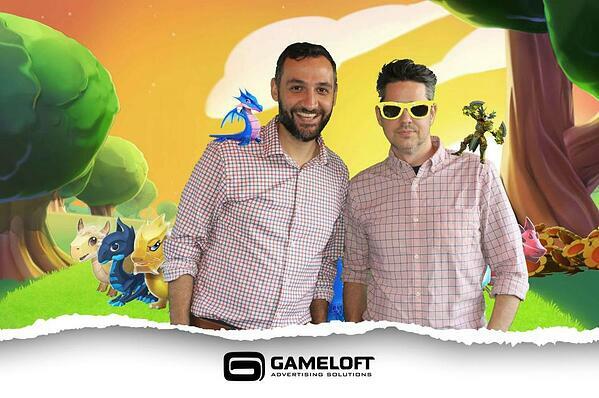 TapSnap also partnered with the video game publisher, Gameloft. We were invited to a private rooftop event for their most important clients and investors. The guests were given the true TapSnap VIP experience, with a Gameloft branded email and sharing page for them to use as well as a branded photo border and kiosk. 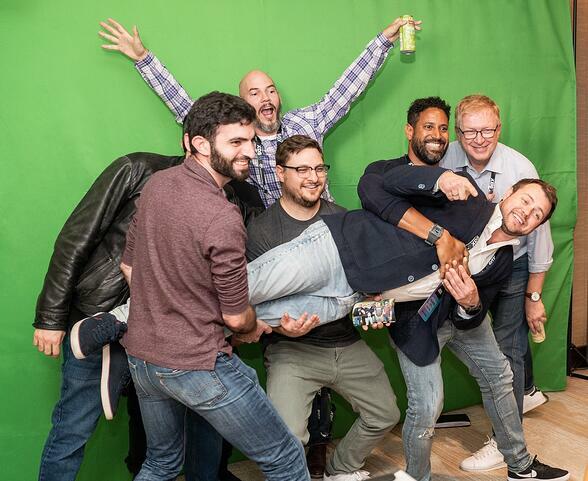 They had a green screen with the option of multiple backgrounds and the guests were able to add digital props of their favorite Gameloft characters to their pictures. It was obvious why Gameloft chose TapSnap; What better memento from a gaming event than a picture that shows guests interacting with your characters? The biggest splash we've made in the gaming industry in recent months was when we collaborated with D3GO! on behalf of Marvel Games to celebrate 5 years of the game Puzzle Quest at New York Comic Con! D3Go! chose a TapSnap photo booth to celebrate 5 years of their immensely popular mobile game. Working with TapSnap meant guests were able to be immersed in the game they love so much. The Comic Con attendees were being threatened by Loki, hanging out with Deadpool and Captain America, and in an animated GIF they were playing around in a moving game board. 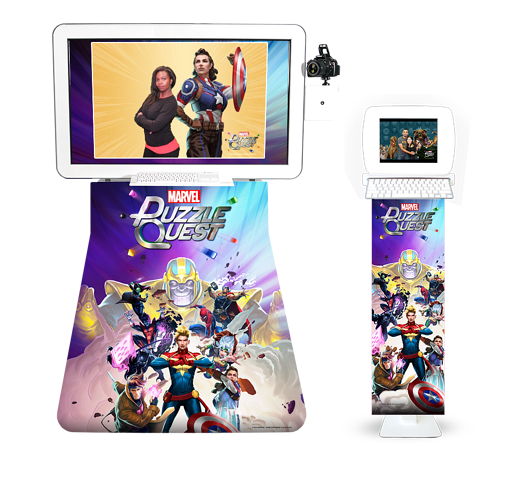 The large branded kiosk made Puzzle Quest's booth at Comic Con instantly recognizable, and the sharing ability of the photo booth meant Marvel Games got to spread these fun Puzzle Quest's images over an extended network of potential and current players. Are you looking to step up your marketing game?